The panhandle of Florida is home to numerous military installations. 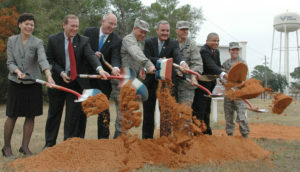 These installations serve thousands of military personnel and possess a significant deployment commitment. 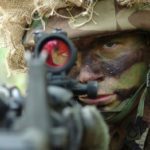 Consequently, our military members are continuously placed in harm’s way and on occasion, the unthinkable happens. Fisher Houses provides a warm, compassionate home away from home where our military and their families receive caring, unconditional support and encouragement. 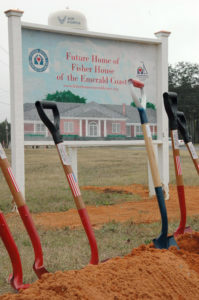 On 10 September 2010, Eglin Air Force Base in Fort Walton Beach in Okaloosa County Florida, held a ribbon cutting ceremony, officially opening the Fisher House of the Emerald Coast for guest families. The first guests arrived at the house 17 October 2010. Our house was one of the quickest to gain approval, reducing the normal approval time from 5 years down to 2 due to the urgent need and the tenacity of our board. Our services have expanded with the needs of the military community and volunteers are always needed; both for the Fisher House and in support of fundraising events. In 2017, we hosted over 1,100 guests and provided 3,200 bed nights, saving military families over $320,000 in lodging. Since our opening, we have saved these families almost $1.6 million in combined expenses. Our guest stay numbers continue to grow (averaging about 80% and sometimes we are at capacity) and include those service members returning with severe medical issues. With the addition of the Invisible Wounds Clinic opening in the fall, we anticipate even greater demands on our house at Eglin AFB. Eglin’s Fisher House has 12 suites and it is located across the street from the Eglin hospital and the Veteran’s Clinic. It is open for guests twenty-four hours a day and seven days a week. The manager is present at the House from 8am – 4:00pm Monday through Friday and is on call all remaining hours. The patients have the benefit of having loved ones nearby in a safe, comfortable environment. There is no fee for staying at the Fisher House, saving families significant costs and more importantly, worry. Guests served at the Fisher House of the Emerald Coast come from all over the United States. Any time a military member or family member is being treated at any local medical facility, they are eligible to use the Fisher House. Fundraising efforts are forever on-going; monies raised provide much needed funding to the house to support the operation and the maintenance of the home, and to provide the families with any necessary items needed during their stay. 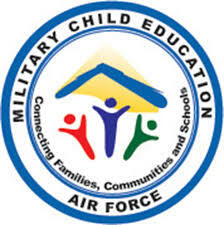 Our mission is to keep military families together during times of medical need, providing a support system for healing. We believe a family’s love is the best medicine. Our guest experiences say it best. These quotes are taken from the journals that are placed in each suite for our families to share their experiences with the next guests, to inspire and encourage hope and healing. Please click here for a brochure that you can share with others on our great mission! A walk down memory lane…….see the video of our groundbreaking, before our home was built.